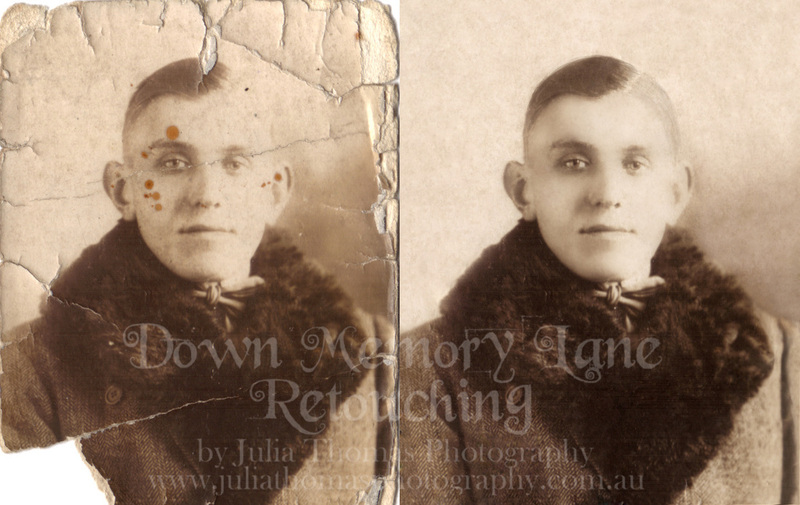 Do you have old family photos that are faded, ripped or torn? 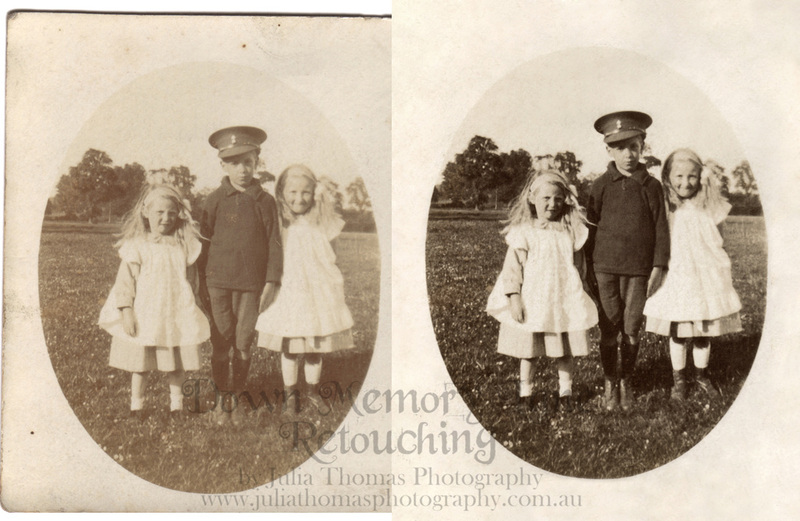 Do you have old slides or negatives that you would like digital copies of? Julia can do all of these things and more! Your family memories are precious, get them digitised and retouched for safe keeping, ready for many more generations to enjoy! 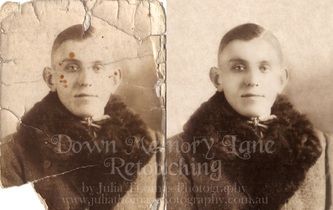 Photograph retouching charged per hour, normally takes between 30 minutes and an hour for each image depending on the damage. Check out the samples and the time taken for a guide or contact Julia for a free quote. Editing time: 1hr and 15mins Editing time: 50mins Editing time: 20 mins.